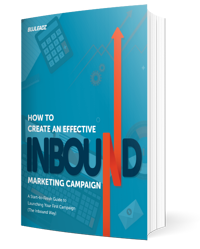 Inbound marketing consists of several moving parts, so it’s easy to fall behind. 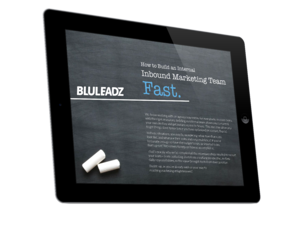 But the later you are to adopting inbound marketing best practices, the more opportunities you miss out on. You need stay in the loop of each aspect so your strategy continues to evolve with the changing marketing landscape. This is where inbound marketing statistics come in. When you’re staying current with your research, you know what is and isn’t working and where you should shift your strategy. This is why we created the annual marketing statistics digest. We want our readers to thrive and make the most out of their inbound marketing efforts by using the most up-to-date research. Content marketing is a big player in your inbound strategy. By staying in the loop of what kinds of formats, tactics, and media are most effective, you can take your content marketing strategy to the next level. This tried and true tactic continues to stay a staple in the content marketing world for a simple reason -- it still produces big results. Blogging is worth the time. Compounding blog posts make up 10% of all blog posts and generate 38% of overall traffic (HubSpot’s Compounding Blog Posts: What They Are and Why They Matter Report). Blog content creation is the second highest priority for companies (HubSpot’s 2018 State of Inbound Report). The average blog post takes 3 hours and 20 minutes to write (Orbit Media Studios’ 2017 survey). And being consistent yields better results. Companies that published 16+ blog posts per month got about 4.5X more leads than companies that published between 0 - 4 monthly posts (HubSpot’s 2015 data). 47% of buyers viewed 3 to 5 pieces of content before contacting a sales rep (Demand Gen Report’s 2016 Content Preferences Survey). Keep your eyes on the word count. Long-form blog posts generate 9x more leads than short-form blog posts (Curata’s 2015 research). The average length of a typical blog post is 1142 words (Orbit Media Studios’ 2017 survey). Time is of the essence for your audience, and videos can be an excellent tool for communicating complex messages in a fast, efficient manner. Duh, your audience wants video. Videos are the top kind of content global consumers want to see from brands they support (HubSpot’s 2018 Content Trends: Global Preferences Survey). 4 times as many consumers would rather watch a video about a product than read about it (Animoto’s 2015 Online and Social Video Marketing Study). 4 in 5 consumers say a video showing how a product or service works is important (Animoto’s 2015 Online and Social Video Marketing Study). No, really. You’re actually losing your audience without it. 1 in 4 consumers actually lose interest in a company if it doesn’t have video (Animoto’s 2015 Online and Social Video Marketing Study). Shoppers who view video are 1.81X more likely to purchase than non-viewers (Animoto’s 2015 Online and Social Video Marketing Study). If you’re still planning, you’re too late. 59% of B2B marketers use YouTube to distribute content (Content Marketing Institute and MarketingProfs’ 2017 B2B Content Marketing Trends). 72% of B2B marketers use videos, making it the third most common type of content used for content marketing purposes (Content Marketing Institute and MarketingProfs’ 2018 B2B Content Marketing Trends). 85% of marketers plan to create more video content in 2018 (Buffer’s The State of Social 2018 Report). Audio content like podcasts are especially awesome for your audience because they can consume it while on the go. Marketers are getting their feet wet. 11% of marketers plan to add podcasting to their marketing efforts in the next 12 months (HubSpot’s 2018 State of Inbound Report). 28% of marketers want to learn more about the art of podcasting (Social Media Examiner’s 2018 Social Media Marketing Industry Report). An estimated 112 million people have listened to a podcast before (Edison Research’s The Podcast Consumer 2017 survey). In 2018, 26% (approximately 73 million) of Americans listened to a podcast in the last month (Edison Research’s 2018 Infinite Dial study). Despite what many critics have been claiming for years, SEO is still alive and well. Google now processes over 40,000 search queries every second on average, which equals over 3.5 billion daily searches and 1.2 trillion searches per year worldwide (Internet Live Stats data). Content is your SEO fuel. 57% of marketing influencers say on-page content development is the most effective SEO tactic used to achieve objectives (Ascend2’s 2017 Search Engine Optimization Survey). Your competitors are probably finding success. 95% of marketing influencers consider an SEO strategy successful to some extent at achieving important objectives, with 45% describing their success as best-in-class (Ascend2’s 2017 Search Engine Optimization Survey). 61% of marketers say improving SEO and growing their organic presence is their top inbound marketing priority. ((HubSpot’s 2018 State of Inbound Report). Building links is still tough (but worth it). 52% of marketing influencers say link building is the most difficult SEO tactic to implement (Ascend2’s 2017 Search Engine Optimization Survey). Google said that backlinks are among the top 3 ranking signals (Google's Andrey Lipattsev 2016 interview). When you understand your audience’s social media habits, you can leverage each network to engage with them in unique, effective ways. The benefits are hard to ignore. 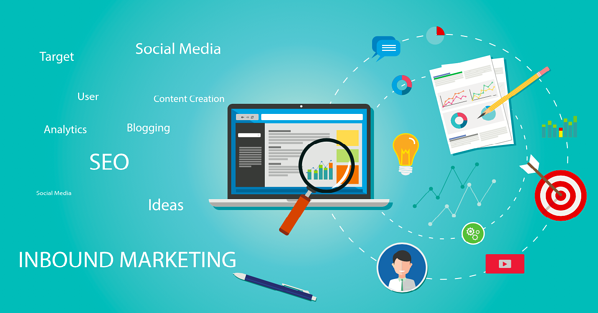 The top benefits of social media marketing include increased exposure (87%), increased traffic (78%), and generated leads (64%) (Social Media Examiner’s 2018 Social Media Marketing Industry Report). 45% of marketers said their social media marketing was ‘somewhat effective,’ and 29% said it was ‘very effective’ (Buffer’s The State of Social 2018 Report). Facebook is dominant for marketers. 94% of marketers use Facebook, and 72% of them run Facebook ads (Social Media Examiner’s 2018 Social Media Marketing Industry Report). 2 in 3 marketers claim Facebook is their most important social platform (Social Media Examiner’s 2018 Social Media Marketing Industry Report). 49% of marketers say Facebook efforts are working (Social Media Examiner’s 2018 Social Media Marketing Industry Report). Bots and messaging are changing the game. There are now more people using the top four social messaging apps (WhatsApp, Messenger, WeChat, and Viber) than the top four social media apps (Facebook, Instagram, Twitter, and LinkedIn) (Business Insider’s 2017 research). 51% of marketers plan to use Messenger bots in the next year (Social Media Examiner’s 2018 Social Media Marketing Industry Report). ROI is still hard to measure. Only 44% of marketers say they can measure the ROI of social media activities (Social Media Examiner’s 2018 Social Media Marketing Industry Report). A well-timed, targeted email campaign can drive your inbound marketing results immensely. Speak to your audience like they’re people. Trigger emails (personalized emails that are delivered based on prospect actions) perform 3x better than any other email type (Marketo’s 2014 research). Email list segmentation and personalized emailing were the most effective email strategies of 2017 (The 2017 DMA Statistical Fact Book). Emails still drive distribution efforts. Email is the top format marketers use to distribute content for content marketing purposes (Content Marketing Institute and MarketingProfs’ 2018 B2B Content Marketing Trends). 74% of marketers say email is their most effective format for distributing content (Content Marketing Institute and MarketingProfs’ 2018 B2B Content Marketing Trends). Your strategy needs variety and good timing. Adding videos to your email can increase click rates by 300% (Martech Advisor’s 2017 data). Drip campaigns (45%) (Content Marketing Institute and MarketingProfs’ 2018 B2B Content Marketing Trends). 11:00 a.m. ET has the highest clickthrough rate for email sends (HubSpot’s 2015 research). The design of your website and the user experience you’re creating make a huge difference in how well you can engage your audience. Mobile continues to be king. 48% of global consumers spend the most time browsing the internet on mobile phones (HubSpot’s 2018 Content Trends: Global Preferences Survey). Mobile traffic as a share of total global online traffic in 2017 is 52.64% (Statista’s 2017 data). In 2017, the mobile share of total digital minutes in the United States is 65% (Statista’s 2017 data). As of February 2017, mobile devices accounted for 49.7% of web page views worldwide (Statista’s 2017 data). American adults are expected to spend on average 3 hours and 23 minutes on non-voice mobile media in 2018 (eMarketer’s 2017 research). Live chat is becoming a must. Almost ⅔ of buyers expect a response within 10 minutes to any marketing, sales, or customer service inquiry (HubSpot’s Live Chat Exposes a Fatal Flaw in Your Go-to-Market Report). Live chat is expected to grow by as much as 87% in the next 12-18 months (CustomerThink’s 2017 data). Live chat has the highest satisfaction levels for any customer service channel, with 73% (eDigital’s 2013 survey). As you’re building your inbound marketing strategy, keep these statistics in mind. They should inform how you manage your efforts. Inbound is Everywhere... Are You Ready?